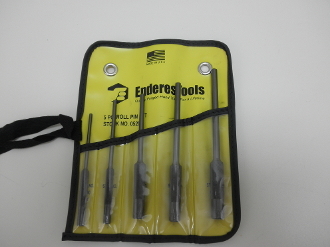 Heavy duty roll pin punch set, made from Carbon tool steel for years of hard use. This set includes 5 of the most popular sizes and a plastic storage roll. Ball end to help prevent the punch from slipping. Sizes Included: 1/8, 5/32, 3/16, 7/32, and 1/4"